PoPville » “the most important pop-up bar of the year, nay, in history, the amazing “Chai-vy and Cohen-y” Hanukkah Bar” Kicks Off December 1st!!! 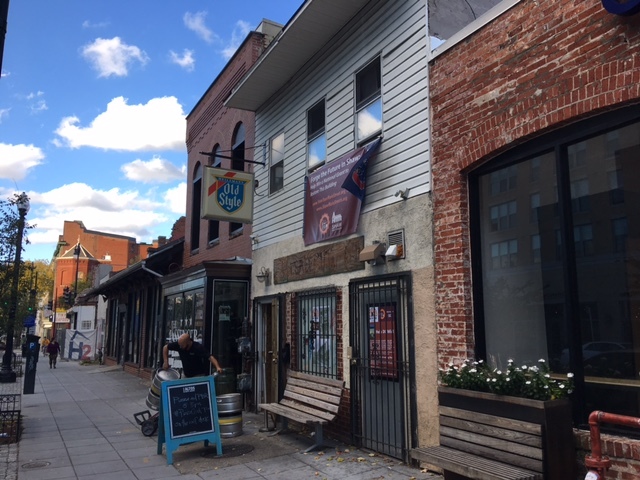 “Ivy and Coney, located at 1537 7th St NW in historic Shaw, is proud to introduce the most important pop-up bar of the year, nay, in history, the amazing “Chai-vy and Cohen-y” Hanukkah Bar. From December 1st through New Year’s Eve of the year 5778 (that’s now, for all of you gentiles out there), the Manischewitz shall flow, the dreidels shall spin, latkes shall be eaten. Guests can expect a winter wonderland of awe-inspiring decorations created for the 132nd most important holiday of the Jewish calendar, Hanukkah. There may have been a miracle on 34th street, there may be aerial caribou bulking up for their annual appearance, and there may even be some major conifer deforestation. But, let’s not forget one key thing: before the boy born in the manger grew up to make furniture and miracles, he celebrated 8 WILD NIGHTS each December with us! In honor of our holiday that lasts 8 times longer than Christmas AND involves actual fire (not just some wimpy string lights*), we’ve added delicious homemade potato latkes, matzoh ball soup, Manischewitz’s finest kosher wines, slivovitz (plum brandy), schnapps and maybe even a selection of He’Brew’s finest beers to the menu. Each night we will be lighting the menorah for the Festival of Lights (December 12th through the 20th) and will be enjoying all the chocolate gelt, great gift giveaways (oh yes, fellow MOT, there will be socks) and the most epic dreidel spinning competition this side of the Dead Sea. Competitors will go head to head to see who can keep the dreidel spinning the longest in our brand new Spinagogue™. Sign up before the 20th to see if you can beat competition favorites The Geltway Ganiff and Shlomo Shun 4 Me. Most importantly, we will be unleashing the Kraken (sorry, it is treif) on the city in the form of our custom-made shot menorah. Standing two feet tall and a whopping sixteen feet long, the ShotNorah (patent pending probably) is designed for the enjoyment of nine guests at a time. Revelers may choose from a variable collection of classic spirits and holiday favorites to put in their flavor snouts. What more can we say? It’s gonna be a great time. December 19th Last Day of Hannukah, dreidel spinning competition, great gifts, prizes and fun! December 31st Finish off all of the gelt, schnapps, latkes and matzoh ball soup and bring in the new year!